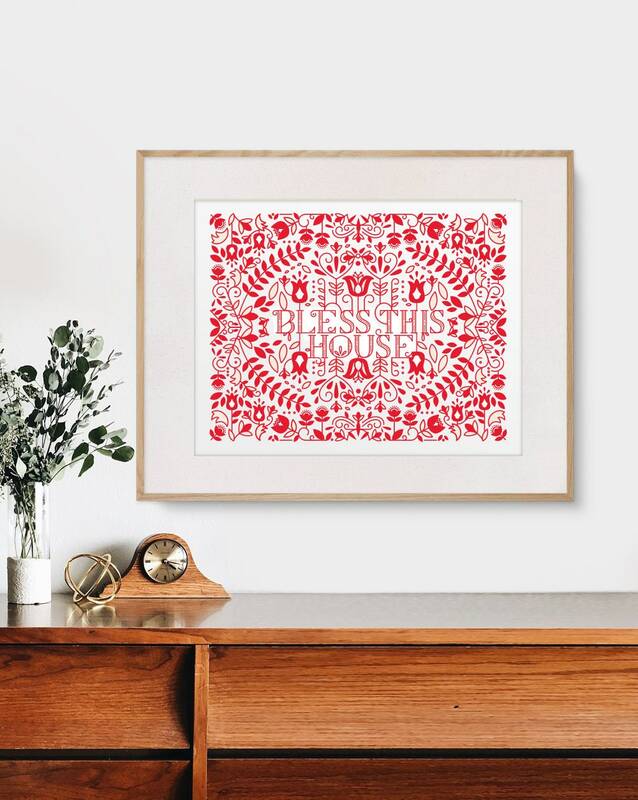 Inspired by traditional Scandinavian folk art, this piece uses a fresh-feeling, modern illustration style to create a piece of art that is classic yet modern. 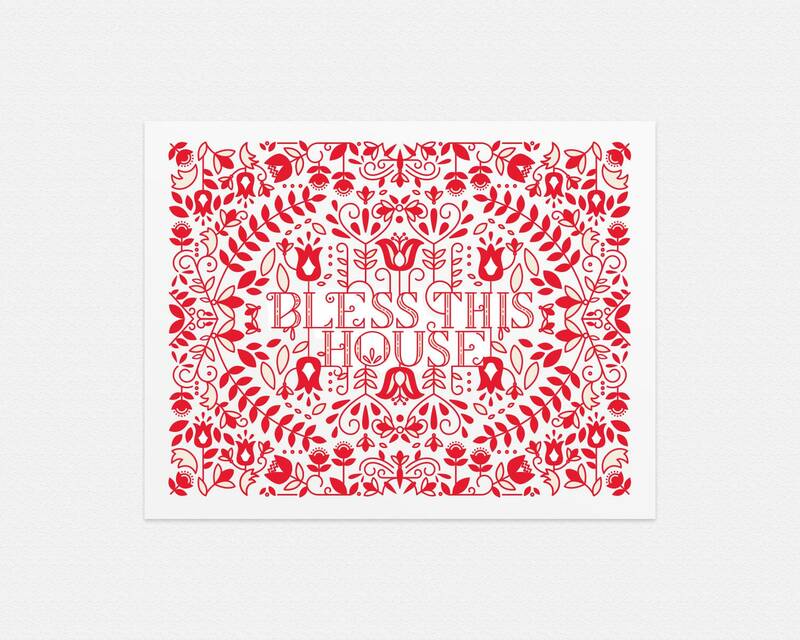 Scandinavian florals intertwine with the custom lettering of "BLESS THIS HOUSE" in a delicate and charming way. 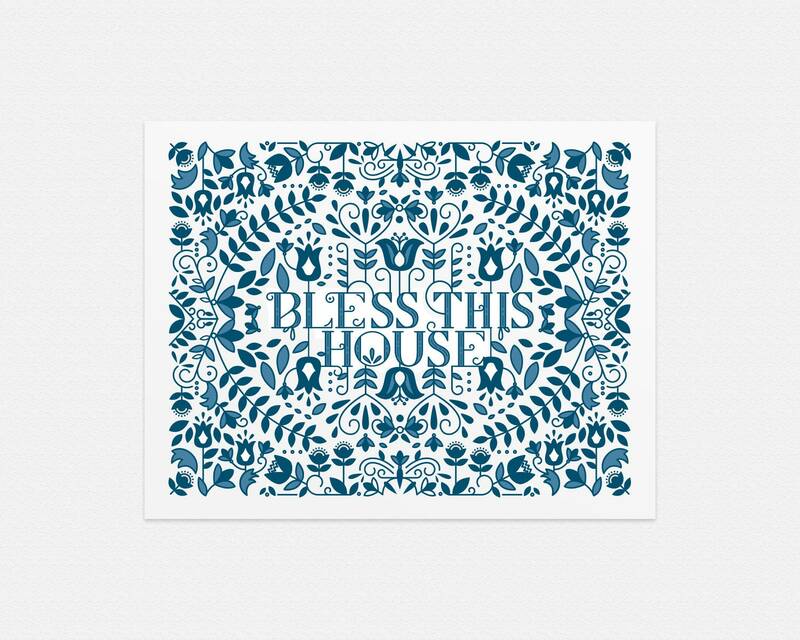 This print is shipped in a rigid, flat envelope.